Welcome to Robert Duhig Dental, the Gentle Dentist in Brisbane! Considering becoming a Robert Duhig Dental patient? We’re a small, friendly, relaxed practice in Sandgate on Brisbane’s northside. We believing in making everyone feel comfortable and relaxed while at the dentist. Do you have a question about your trip to the dentist? We’re happy to discuss any concerns with you. Call us on 3269 2443 or read our frequently asked questions below. It all depends on where it is, how big it is and if you need x-rays and other tests first. For a single sided filling on a tooth close to the front, most dentists in Brisbane change between $130 and $250. We’re very competitive. Is Rob Duhig a bulk billing dentist? If you’re after a bulk billing dentist in Brisbane, you’ll probably have to turn to government agencies. We do however bulk bill eligible dental services for children aged 2-17. Learn more about eligibility here and all about our pediatric dentistry here. I’m soooo scared of the dentist! For your first appointment, please try to arrive ten minutes early to register. We try hard to run on time, even leaving extra time on appointments to ensure you are comfortable and not rushed. Generally, a filling will take between 45 minutes and 1.5 hours but this varies depending on location and difficulty. It’s best to speak with our receptionist when you make your booking, she’ll let you know. 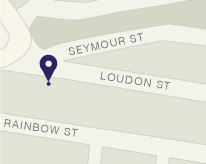 Is Rob Duhig Dental near Brisbane CBD? New in town huh? Robert Duhig Dental is on the north side of Brisbane in Sandgate. If you’re taking the train, we’re a short walk from Sandgate station on the Shorncliffe line. I’m a Redcliffe Commuter, what are your opening hours? We get a lot of commuters looking for a gentle dentist near Redcliffe! We’re just over on the Sandgate side of the bridge. We offer extended opening hours for commuters and YES, we’re taking new patients! Book Your Free Cosmetic Dentistry Appointment Now! We offer a 100% obligation free Smile Appraisal appointment for new customers. During your free appointment, we’ll assess your dental needs so we can give you a fixed quote up front. No surprises, just gentle hands and reasonable prices for cosmetic dentistry in Brisbane north.